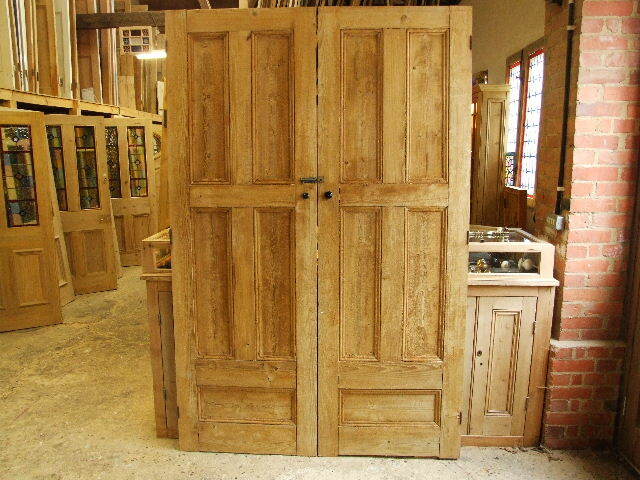 Dimensions: Width: 58 3/4 inches x Height : 89 inches x depth 1"
These doors have been stripped of paint and are in excellent condition. They could also be used as cupboard doors room devides or wardrobe doors. The height could be reduced by removing the bottom two panels ,this would make a height of 74 inches. you will see on the inside they are quite smooth.